Storm drains are generally pretty good at their job, which is to whisk rainfall away so that our cities don't become petri dishes of stagnant, standing water. This urban infrastructure is so good that most people hardly think about it — an error that the Chittenden County Stream Team seeks to correct through public art. Late last month, the Stream Team and four local artists fell upon Burlington storm drains, beautifying them with horizontal murals and, more importantly, making them known. The Stream Team is a public engagement group that works under the Winooski Natural Resources Conservation District. Their offerings include giving community rain garden workshops, monitoring stream quality and orchestrating local clean-ups. Last year saw the fourth annual "Connecting the Drops" exhibition, in which rain barrels were used as canvases. 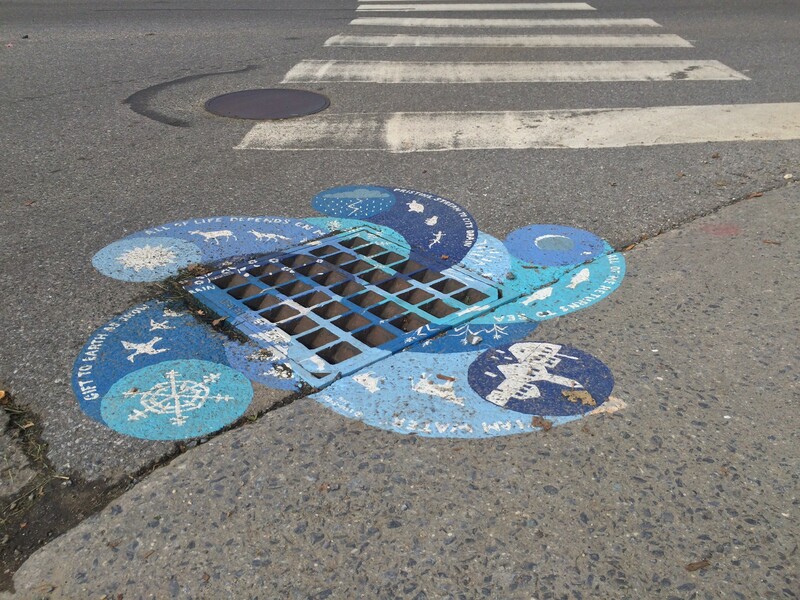 This August, the Stream Team issued a call to artists to propose designs for Queen City storm drains. The goal? To get the public thinking about the local water system: where stormwater runoff goes, and what sorts of nasty things may be in it, whether it's fertilizer or sodium chloride from salt used on roads. "These are kind of our streams now," Holly Feiner told Seven Days by phone. Feiner is a stormwater specialist with WNRCD. She hopes that the storm drain mural project will be ongoing, replacing the previous rain barrel exhibitions. 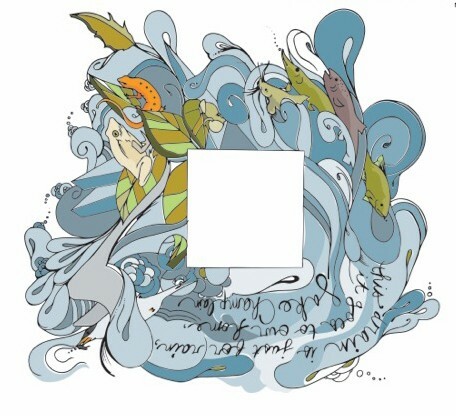 Of the 10 submissions they received, the Stream Team selected four proposals from local artists Tara Goreau, Jess Graham, Max Hodgson and Jo Levasser. 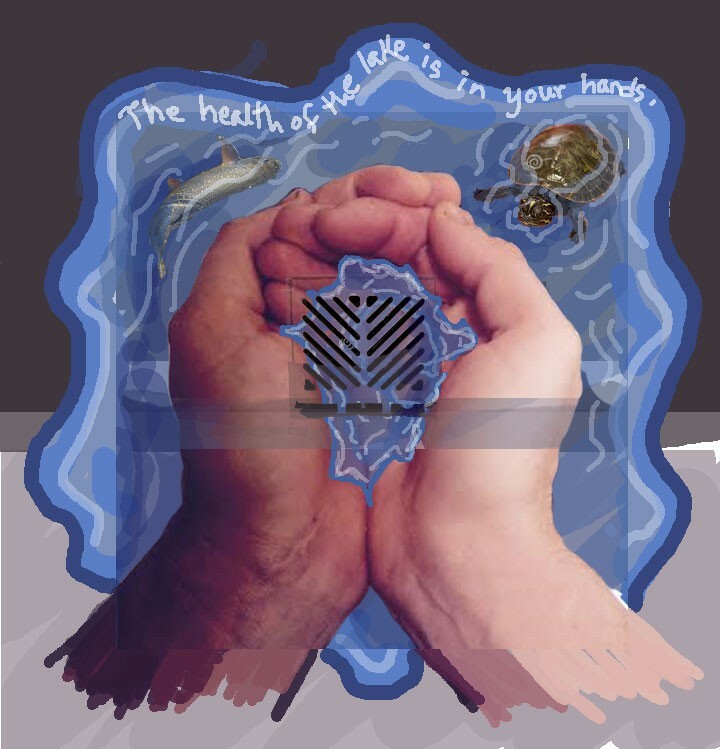 Goreau's hands mural ("The health of the lake is in your hands.") is near Lyman C. Hunt Middle School in the New North End. Graham painted her graphic, fauna-filled scene at the bottom of Main Street. Cursive letters rhyme, "This drain is just for rain, it goes to our home, Lake Champlain." 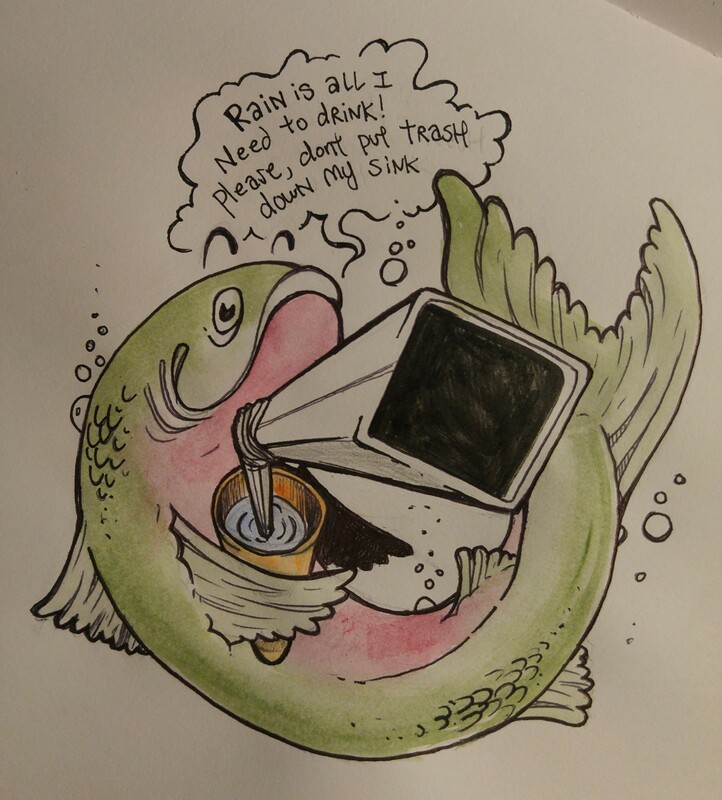 Max Hodgson's fish next to City Hall Park also rhymes: "Rain is all I need to drink! Please, don't put trash down my sink." 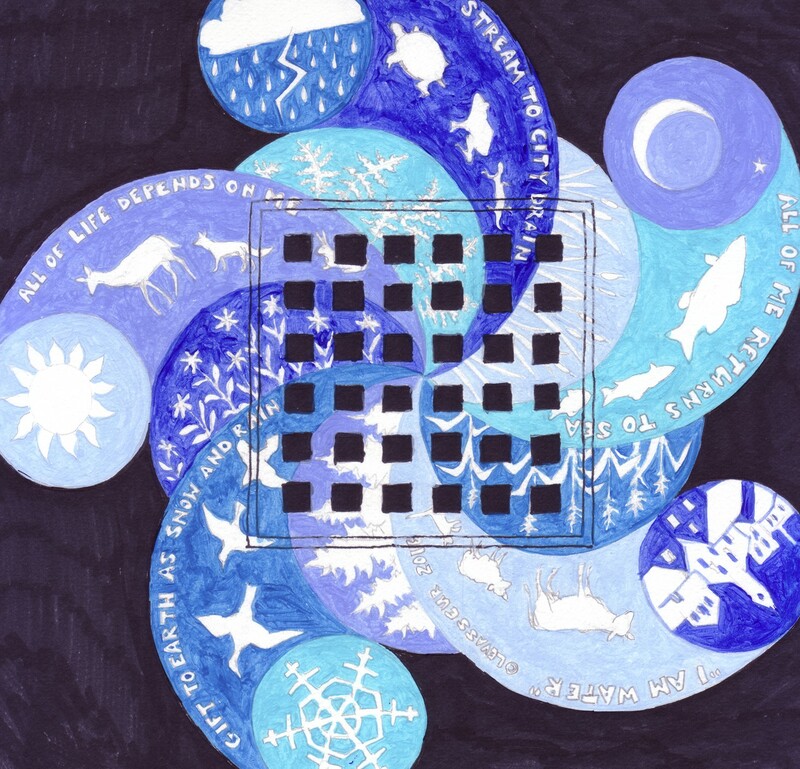 Levasser's blue, snowflake-esque design at South Union and Main streets contains a host of slogans and white silhouettes of animals, weather symbols and the Vermont landscape. Coincidently, this conservation-minded public art initiative came just prior to the opening of the annual "Of Land & Local" exhibition, organized by Burlington City Arts and Shelburne Farms. This year's theme is "Watershed."